Kuala Lumpur, 6th April 2017 – In support of government’s efforts to make riding safer, Naza Premira Sdn. 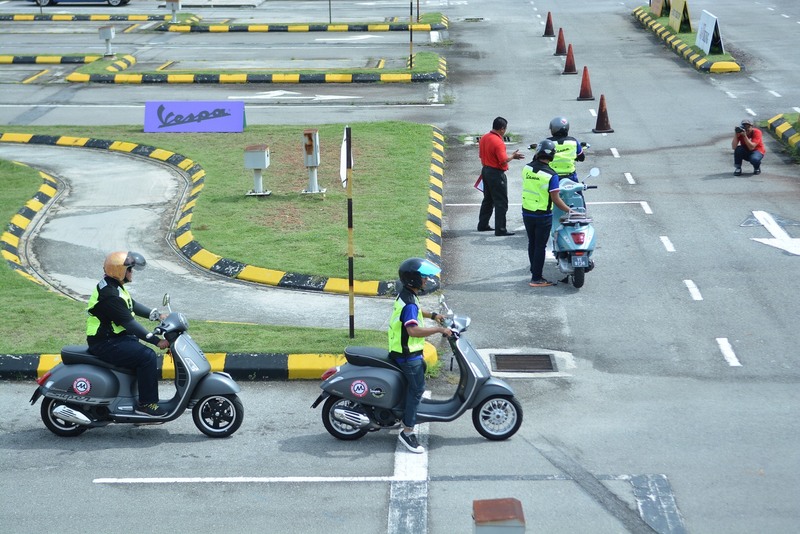 Bhd., the sole importer and distributor of Vespa vehicles in Malaysia, has collaborated with Metro Driving Academy to give free riding lessons for B2 license with every purchase of selected new Vespa models. “While it is common knowledge that it is compulsory to have a riding license to operate a motorcycle, many motorcycle riders in Malaysia do not comply with this law,” said Naza Premira Chief Operating Officer Farouk Faisal. The signing ceremony between Naza Premira Sdn Bhd and Metro Driving Academy was witnessed by the Road Transport Department (JPJ). “Our motto has always been to ensure that all our students pass their riding license test. If they don’t, we will make sure that they are re-trained until they pass,” said Metro Driving Academy Managing Director, Mat Aris Bakar. The Vespa Primavera ABS 150 and Vespa Sprint ABS 150, apart from being very stylish, come standard with fuel-efficient I-Get (Green Engine Technology) engines and anti-lock braking system (ABS) for safety. Creature comfort includes a USB charging port for mobile phones. Vespa is the first small scooter brand in the market that offers ABS in their products. Those who are interested in owning a Vespa but already possess a valid riding license can opt for 6 months free petrol under their “Vespa, Why drive? Let’s ride…” campaign.